When you first look at Hokas you will see a very high stack height and a rocking chair support system called Meta Rocker, which helps guide your feet after fatigue has set in and keeps your form in check. Hoka is known for their lightweight and plush marshmallow cushion that is good for long runs to races. 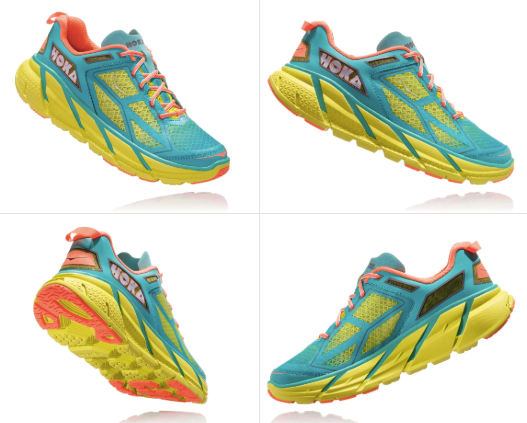 Now on their 5th edition, Hoka decided to bring back the OG Clifton. The rereleased Clifton 1 has the original vibrant colors and as well as a soft EVA midsole and light breathable upper. This edition of the Clifton is an ounce lighter than the current Clifton 5. 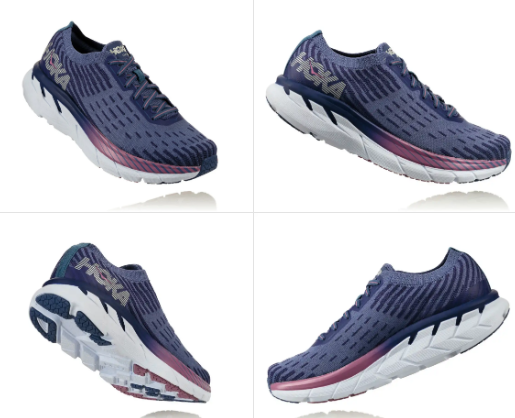 After loving the Clifton 4 (read Kristen’s review of the Hoka Clifton 4 here - she went through 3 pairs), I was happy to try out the new updated Clifton 5 which has a little bit more plush cushion and the toe box accommodates any foot, narrow or wide.